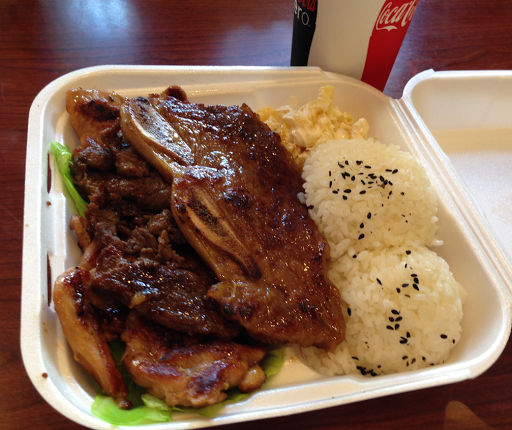 Lunch at ABC Hawaiian BBQ, in the Pavilions parking lot at Foothill and Myrtle. Got the Hawaiian BBQ Mix ($8.95) and a drink ($1.69). It's a mix of beef, chicken and short ribs, with rice and macaroni salad on the side. Light on veggies. I particularly liked the chicken. Good if you are in the mood for meat and carbs.